Since I only brought a few articles of clothing for a 5 day trip, I repeated myself often, which doesn't bother me since you rarely see the same people day after day when you're not at home. First of all, how amazing is that view? I sincerely did not want to come home. I wore this outfit two days in a row and it was perfect for a variety of activities including visiting a seal rehabilitation center, lunch with family, walking on the beach, shopping at a high end mall and shopping at thrift stores. I bought this top at Buffalo Exchange in Costa Mesa, it's from Forever 21 and still had the tags on. I like it because it doesn't seem too trendy or cheap. I wore it with my Baublebar necklace, thrifted jeans, and Dr. Scholls sandals for grabbing a burger and walking around downtown Laguna Beach. 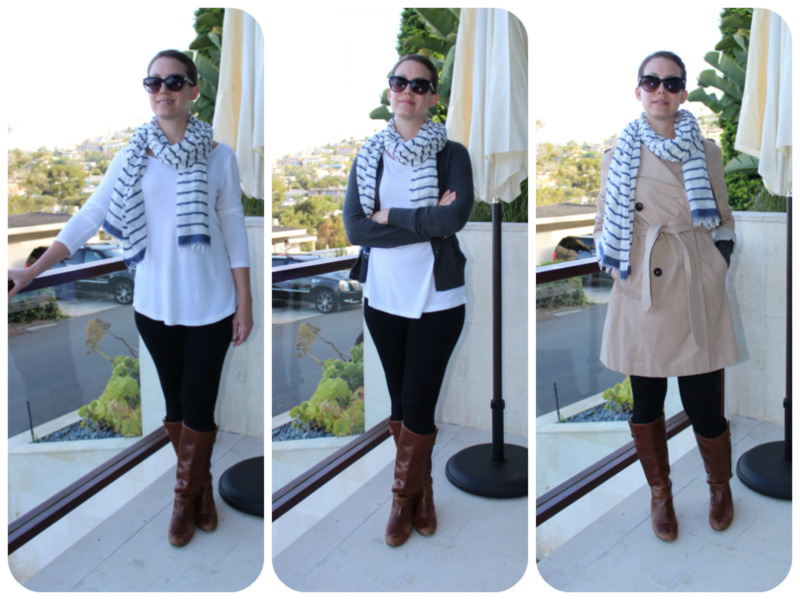 Finally, here's what I wore in the airport - multiple layers since you can go from being burning up to freezing at any point on a plane.